I’ve had some lovely feedback from my interview with Kristina from Romney Marsh Wools, in episode 36; even one or two of you telling me you visited their stall at recent woolly events. Thanks so much for your lovely feedback. Kristina was very kind to send me some of her Romney yarn to review and it was a special skein as it is the first yarn from her coloured Romney to be spun. It is so special that it isn’t even on their website yet – but, don’t worry, I will give you the details of how you can get it at the end of this post! The wool in this yarn is from Kristina and Paul Boulden’s farm in the Romney Marshes, where this breed of sheep has been kept since the 13th century. The Romney has been categorized as a medieval longwool, and is categorized as a medium wool type by the British Wool Marketing board. The micron range of the fleece is 30-34 and if you have knit/spun with Zwartbles, Manx, Wensleydale, Castlemilk, etc then you will know something of this range. 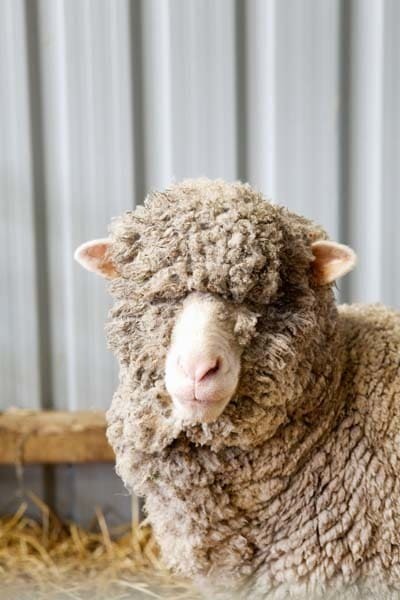 The shorn fleece weighs 3-5 kg and staple length is roughly 10-17 cm. The hand-squish-grab of the skein gave a lovely firm yield – I immediately thought of knitting garter stitch in it (and yes, I know! I love garter stitch and think of it for most things) and utilising that spring to the very best of its ability. 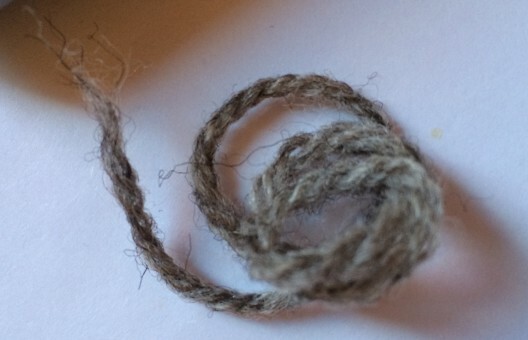 The initial feel was a medium handle and the woollen spun yarn makes a robust, round ply. The yarn feels a little crisp to the touch and has little darker fibres throughout, which I thought would make a nice halo when knitted. 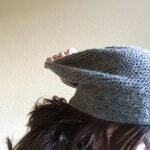 I decided to cast on the Rikke hat, by Sarah Young which is a free pattern that is available via Ravelry. It is a very easy pattern and has a lot of character, as you can see. Lots of people have used hand-dyed for this hat, but I think the wonders of natural sheepy colours can add even more character to this design. I knew that garter stitch would be fantastic in the Romney! and I really loved creating that stitch in this yarn – it’s perfect for stitch definition. I was aware that the yarn was ever so slightly rustic to work through my hands, but you know the score here at KnitBritish – we never judge how the wool is going to actually feel until it is washed and blocked. I found using a little non-greasy moisturiser helped before sitting down to knit (Romney Marsh Wools can help with this too!). The DK yarn knit to 21 stitches/4″ in garter stitch on 4mm needles. I love how sheepy and ‘sticky’ the yarn is. When i dropped a stitch it stayed it exactly where it was, it didn’t slip down a few rows, it was ready to be picked back up when I got back to it (didn’t even need a stitch marker to hold it in place). The knitted fabric of the hat is thick, and has amazing memory and stretch – great for a slouchy hat. I really like the look of the knitted fabric, it does indeed have a lovely halo, there is an ever so slight sheen and it feels like a favourite, fulled woollen blanket. I haven’t tried to felt a swatch of this yarn. yet I am told that Romney wool felts incredibly well. I am also told it takes dye fantastically. I hugely enjoyed this knit and the yarn – KnitBritish readers who love exploring texture and our breeds of Britain will really love Romney Marsh wool. I think it will make wonderful hats, gloves and cowls and cables and defined stitches are going to look awesome in this yarn. You can buy Romney Marsh Wool from DK to Chunky weight. Skeins cost from £8-12. The colour available on their website is currently the natural cream, but the silver grey is available from them directly and all you need to do is drop Kristina a line at info@romneymarshwools.co.uk. Available in the DK weight it costs a very attractive £8. I am not sure of the meterage, but my finished slouchy hat weighs in at 72 grams, so plenty left for more stitch experimenting. Thank you to Romney Marsh Wools for allowing me to sample this great knitting yarn and….there is more! …One of the questions I get asked a lot is where can knitter’s find merino from within the British Isles and, as well as from our British overseas territory in the Falklands, you can find merino closer to home. Kristina and Paul have a very small flock of Saxon Merino and create knitting yarn from their fleece. They have very kindly given us a big, squashy, velvety SOFT 100g skein of their natural merino DK, worth £12. This is an extraordinarily cushy hank and it will belong to one lucky winner. To be in with a chance of winning please visit this Romney Marsh Wools Shop and then leave a comment on this post telling us which other products in their range appeal to your wool-loving senses – with a range from woven home furnishings, beauty products, candles, cards and more you will be spoiled for choice! This give-away will run until midday (UK) on 14th September and I will pick a winner via random.org after that: the winner will win one skein of that awesome wool. Thanks so much again to Kristina and Paul for a generous prize. | UPDATE 14th September Tonight I entered all comment numbers into random.org and the winner is Denise! Well done comment number 87! Would love to try the Pure Romney top! Love the golden hurst white clover tablecloth , perfect for afternoon tea …would be the ideal place to display the teacups and a Victoria sandwich cake mmmm sweet memories of childhood afternoon teas at my grandmas ???? Really love the wool. Also like the travel size bathroom items – they are so cute. I would deeply, deeply love one of the throws in the Blackthorn colorway. Bet they’re light and warm and deeply cozy to curl up under during the winter months. Le sigh. As a knitter, I love the idea of all those natural undyed yarns – but as a slipper wearer, it has to be those moccasins. They look as if they would keep my feet toasty warm in the harshest Scottish winter. So many lovely things. I would really love to have a pair of the wool lined moccasins. They look so warm and cosy!! It all looks wonderful, but I’d love to try the lavender sachets as I discovered a couple of moths in our kitchen recently and have been worrying about my yarn stash ever since! Also the woolly wash because I’ve yet to settle on a favourite wool wash. I should think the Copperhurst throw and the Stockshill scarves would be lovely for our Chicago winters! Apart from the gorgeous wools, the baby sheep bunting and mobile are so cute! There’s so much to choose from, but I’d like to try the wool fat soap. What an awesome giveaway! And I loved the review, very helpful. 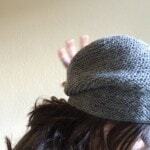 And thanks for the extra rikke hat photos, it’s definitely on my list. I adore the sheepskin baby booties but everything is beautiful. I’d love some of the Romney Aran. Looks perfect for a Mitred Crosses Blanket. Squishy and hard-wearing! I absolutely LOVE that type of wool. It is everything I look for when I get a fleece to spin for myself. Outer garments R ME!! I can just about feel it by looking at it. Hope they do exceedingly well! thanks. So many lovely things! The wool soaps and bed socks are particularly intriguing. Merino Wooly Bed Buddies–ohhhh for some warm winter socks! There are so many lovely things, but if I have to pick just one it would the moccasins. Oh it is hard to decide but the soft toy sheep is adorable. I was inspired by yr interview with Kristina to explore the Romney Marsh website. I chose a Baby Bunting banner for my new great niece’s bedroom featuring Romney sheep. It arrived a day or two ago and is delightful. I can’t wait to see it hanging up in her bedroom. I happened to be in the UK when I heard the interview (I live in Australia) so I was able to ring Kristina and make all the arrangements before I went home. Throws and moccasins would be my choice to go along with the yarn. The pure romney topped fleece I would like to spin. My favorite is the blank card with the sheep and dog. So cute. The Minnesota winters are so hard on the skin – i’d love to try some of Romney Marsh’s lanolin this year! Much as I loved the mom/lamb notecards, the Romney top has my heart. I so enjoyed episode 36. The moccasins look wonderful, I love the wool lavender sack, and I’d love to spin some Romney top! Whilst there are lots of lovely things I would need to try some yarn first and would spend far too long trying to decide if I should get, chunky Aran or DK……but then again knitting is mostly what I do. OH, the lambswool throws are beautiful, but the wool too, of course. Thank you for the wonderful review. the choice – the choice… hand and body lotion should great, so does the lamb wool insert (I really hate the synthetic version!!!) but the knitter in me cannot be denied: the wool wash it is. Without doubt the beautiful cushion covers! I love the wool-fat soaps too though. What I NEED is some wool wash, but oh goodness, the blackthorn throw is gorgeous if I had some birthday money (are you listening David?!!). I love the little lamb knit kits and would love to try the wool fat toiletries! 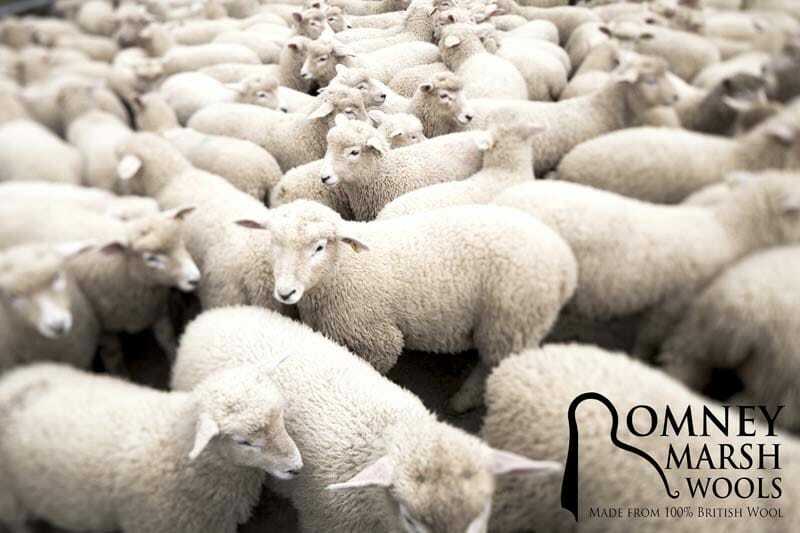 The merino yarn you are giving away looks amazing – thanks to you and Romney Marsh Wools for giving us the opportunity! Now for something new! What a lovely company, I never knew… Oh and I would pick the Lavender Oil for calm knitterly evenings. I love the baby sheep mobile and I know my baby granddaughter, Maud would too! I just love all the baby items especially the sheep bunting – gorgeous! Sorry put the wrong email address on my first post! Lovely, lovely stuff on their website. I’ve never tried wool fat soaps and that intrigues me. Their blankets look so incredibly soft and cozy too. Putting a few drops in your bathwater is indulgence and luxuary and after your bath wrapped snugly while knitting g is soulfood. I love every single item in the shop!! Such reasonable prices for handmade goods? I was amazed. I instantly loved the ladies moccasins. And after paying $100 for a “name brand” pair, I wish I had found these first. Maybe I might just need another pair. Also love the lanolin and plan to try some. Thanks as always for showing us the amazing small business that deserve our support! The throws and the lanolin lotion would really be great here in the winter. I really love the natural colors of the yarn! I’d love to try their wool wash as well. I’d also love to try their wool wash.
(I’m sorry if I’m duplicating my comment, feel free to delete this one, but I did not see the other one get published). DON’T WORRY IF YOUR COMMENT DOESN’T SHOW UP AS SOON AS YOU HIT POST. MOST COMMENTS NEED ME TO MODERATE THEM. Loving the Springfield Lambswool throw. Thanks for the chance to win some lovely wool. Some lovely things on the website but for me it would be the wool fat soap, intriguing! There are some really lovely items in their shop but I love the Copperhurst Romney Throws Blackthorn. Thanks for the opportunity to win some lovely wool. I’m loving the sheep pens and notebook. How can you not smile using those each day. Those cards of little lambs are pretty irresistible, but I love the Fern Marsh pillow best of all. Beautiful products! Have tried the handcream, which is lovely, and the merino wool, also lovely, would love to work with the Romney wool next! Love the creamy throws and the knitting yarn, I must have a go with it sometime. I’d love to try spinning some of the topped fleece. And the wool fat moisturiser would do wonders for my partner’s dry hands. The Copperhurst Romney Throw – any color. Once you’ve snuggled under a wool blanket, there really is no going back to other fibers. I adore the sheep magnet. It would make me smile every time I looked at it on my fridge! Easy peasy. It has to be Romney raw fleece. Wow, what a lovely selection of woolly items but my favourite has to be the White Clover Copperhust Romney throw, it’s looks so snugly and warm. I really want to try their Romney Topped Fleece. The first fibre I ever spun was a Romney so I really want to try again but with a UK farm instead. Would love to try the Nature’s Sleep Cushion on those nights when I just can’t get to sleep. It would have to be the lovely fluffy slippers & bed socks for me! I so wish I could use the lanolin skin products but I’m dreadfully allergic, these are so nicely presented I’d happily buy & give them as gifts though. What a beautifully presented site! While I love to try all the wools….. The Copperhurst throws look particularly lovely, especially in the Blackthorn colour way. and for my hand knits, the woolly wash! I would have to choose the hand and body lotion, lavender oil and a skein of the Merino 4ply to knit the softest lacy shawl. The sheep pen is a must too. So many lovely items. The wool-lined mocassins look devine! I would love the Copperhurst Throws. Winters here are damp and I feel sure that the cozy factor of those throws is pretty high. I would love a throw too, in the Blackthorn colourway. I’m already a fan of their fabulous Hand and Body lotion, but would love to try the lanolin shampoo. Too many lovely things on their site to pick just one; so after looking long and hard, and again then again I finally chose the lavender wool sack. It sounds wonderful and very relaxing, very useful when you are knitting or after a long knitting/crocheting session. I’d like to try the merino 4-ply yarn. Aside from the yummy yarns, I would have to go for the Copperhurst Romney Throw in Blackthorn and I’d like to try the Wool Fat Soap too. So hard to choose, apart from the yarns, which I need to try soon, the wool fat soap is intriguing. I see me seeking this out in the near future! Of course I love the yarn, it looks very squishy. But even better I like the woven throws! They are just so lovely! The throws are lovely, and the cards are charming. I would really like to try the Romney Marsh wool after reading your descriptions of it. I’ve already ordered the lambswool inserts (the very best for handmade slippers…), and a Merino & Romney Baby Cot Blanket for a new gram-baby coming. On my “wish list – for myself – are any of the Springfield Lambswool Shepherds Purse throws and/or wraps, as well as a rug or throw in Copperhurst Romney Throws Marsh Fern. Have already alerted offspring that these are eminently acceptable and suitable for a holiday or surprise gift! The merino honeysuckle throw is just beautiful! I can imagine wrapping it round me and never wanting to take it off! I would love to start using British wool now I am back living in the UK. Love the little lambs kits and the candles. Next PostLet’s have a breed swatch KAL!